I was asked to make these green beans for our church potluck. My sisters, Alla & Anna make these frequently for parties and they gave me directions over the phone. Anna likes to sprinkle her green beans with grated Parmesan cheese. 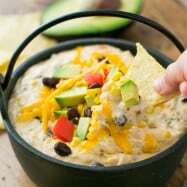 This dish is very popular among our “crew” and rarely are there left-overs. 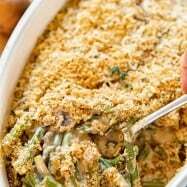 This recipe fills a big 13×9 Pyrex dish (party size!) 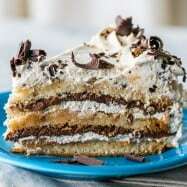 You can easily scale it down for your needs. 1. 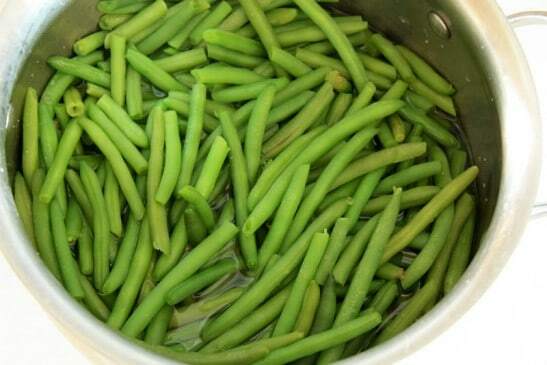 Rinse green beans. Snip the bases off on all the green beans (this is the only tedious part of the dish) Or you can just buy pre-cut beans which are double the price. 2. 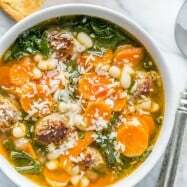 Fill a large soup pot 2/3 with water and bring to a rapid boil. Add 2 Tbsp salt. Add beans and boil 6 to 7 minutes, until crisp-tender. 3. Drain beans immediately and rinse them with cold water to stop the cooking process, then place them in your serving dish. 4. In a large skillet, over medium heat, melt 1 stick of butter. 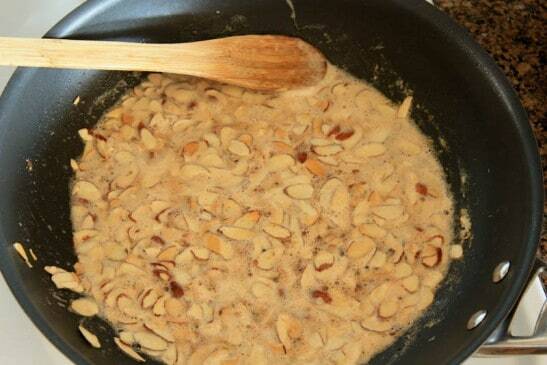 Add shaved almonds to the skillet and stir them until they are golden. Watch them closely once they start to golden because they can burn quickly beyond this point. 5. 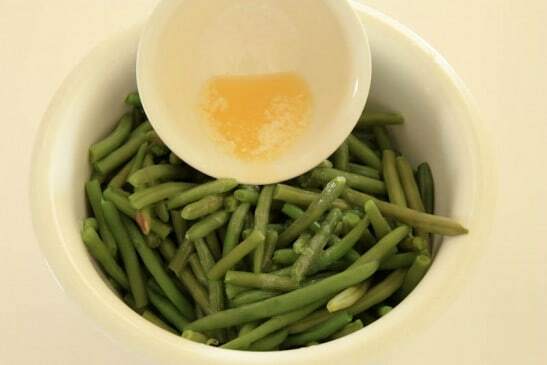 Melt in the rest of the butter (1/2 stick), stir and pour the buttery almonds evenly over the green beans. 6. Use tongs to lightly toss the beans with the buttery almonds, but not too much because the almonds tend to escape to the bottom of the dish. 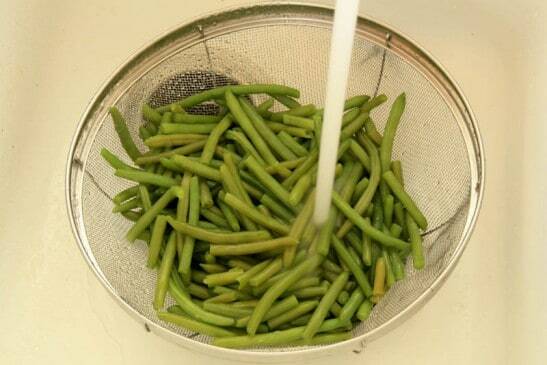 Rinse green beans. Snip the bases off on all the green beans. Fill a large soup pot 2/3 with water and bring to a rapid boil. Add 2 Tbsp salt. Add beans and boil 6 to 7 minutes, until crisp-tender. 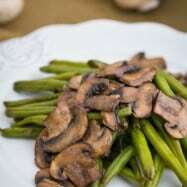 Drain beans immediately and rinse them with cold water to stop the cooking process, then place them in your serving dish. In a large skillet, over medium heat, melt 1 stick of butter. 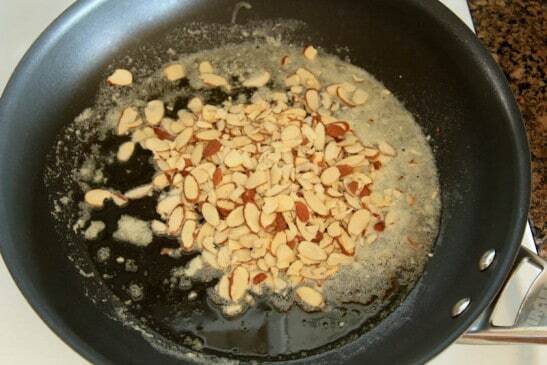 Add shaved almonds to the skillet and stir them until they are golden. Watch them closely once they start to golden because they can burn quickly beyond this point. 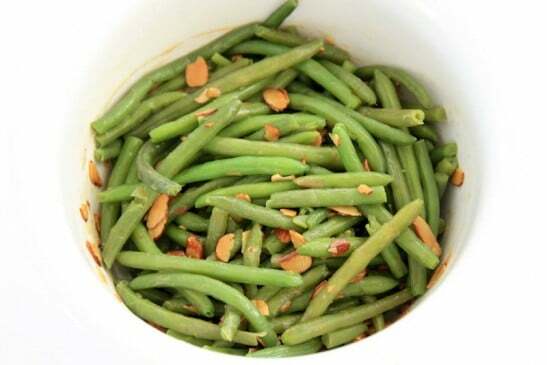 Melt in the rest of the butter (1/2 stick), stir and pour the buttery almonds evenly over the green beans. 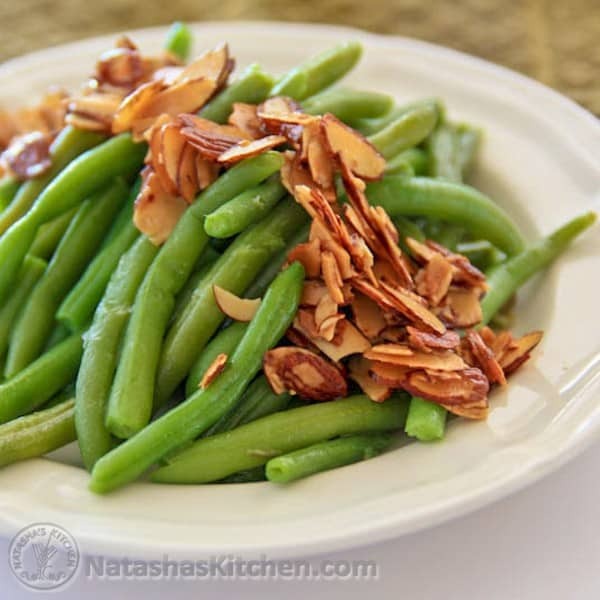 Use tongs to lightly toss the beans with the buttery almonds, but not too much because the almonds tend to escape to the bottom of the dish. 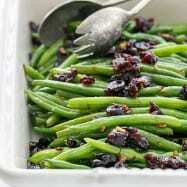 Mmm, these are my favorite green beans. The toasted almonds and slightly browned butter gives them so much flavor.